The removal of a member of the National Assembly, Hon. Kumba Jaiteh by President Barrow is an action capable of undermining the nation’s legislature, subverting the Constitution, intimidating law makers, and creating uncertainty in the democratic and electoral process. 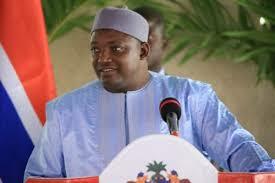 By unilaterally sacking a member of National Assembly without following due process of the constitution, President Barrow has sent a dangerous signal to the entire world that Gambia is no longer a democratic nation and that we have returned to the old, jaded era of military turned- civilian dictatorship. Our constitution makes no provision for sackings of a member of National Assembly. The constitution provides a clear process of due process and specify the roles of the three arms of government, beginning from the Judiciary the Legislature and lastly, the Presidency, have different roles to play in that process. There is no condition under which the President can usurp the powers of other arms of government. I do not know where the President and his advisers got this idea of removing a law maker without due process or not without a member before any Code of Conduct Tribunal, but this is novel, disingenuous and alien to our laws. With this action, President Barrow has initiated a process the consequence of which nobody can predict. This action may have precipitated a constitutional crisis. I call on President Barrow to immediately reverse this decision and allow the due process of the law to take its natural course.